Tamiya acrylic paints are made from water-soluble acrylic resins and are excellent for either brush painting or air-brushing. These paints can be used on styrene resins, Styrofoam, wood, plus all of the common model plastics. The paint covers well, flows smoothly, and can be blended easily. Prior to curing, paint can be washed away with plain water. X designated colors have a glossy finish while XF designated colors are flat finish. 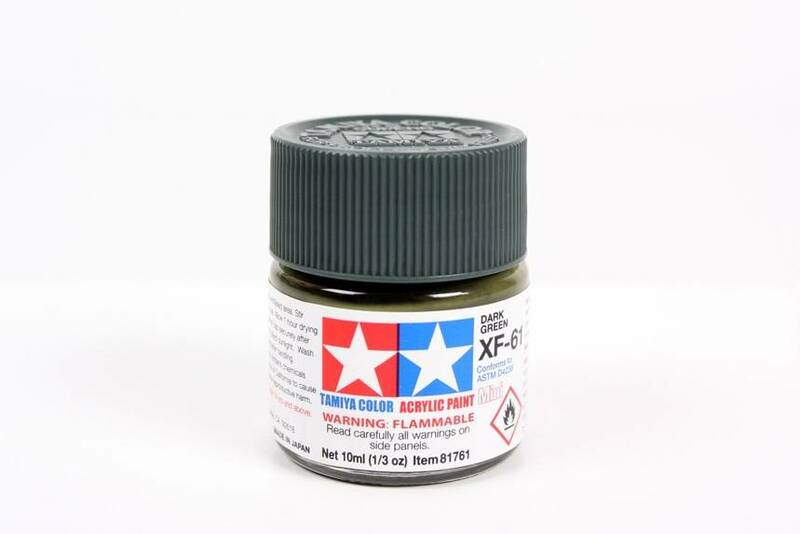 The paint can be thinned for airbrushing using Tamiya X-20A Acrylic thinner. The paint can be also thinned for airbrushing using Tamiya Lacquer Thinner. Using Tamiya Lacquer Thinner will yield faster drying results and a harder finish. For better paint brushing results use Tamiya Paint Retarder (87114) for a smoother brushstroke free finish.